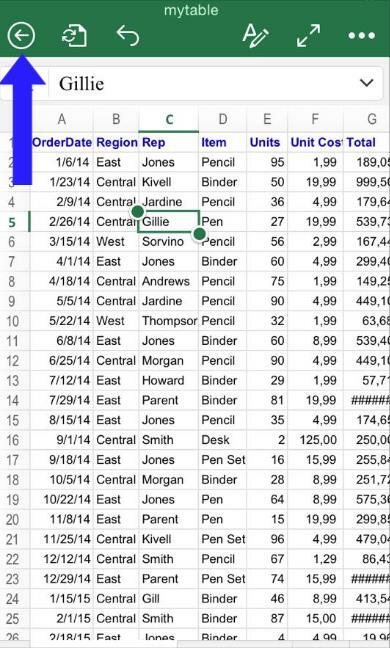 In Excel for iOS is possible to send a document as an e-mail attachment even when is active and being modified. 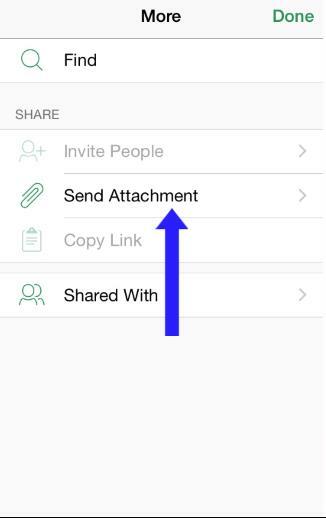 To achieve this, click as indicated. 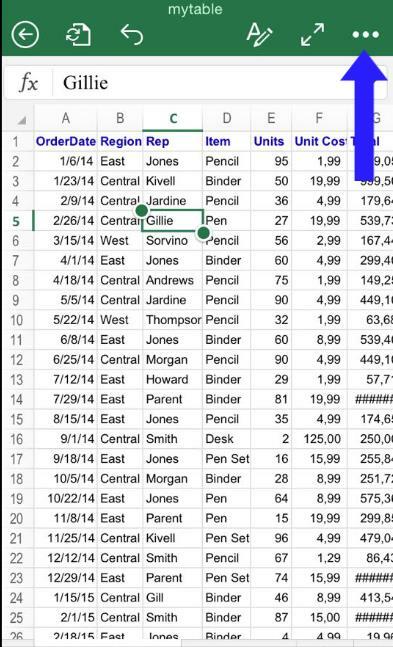 Once this is done, you will be given the option of attaching the current document as PDF or Workbook. 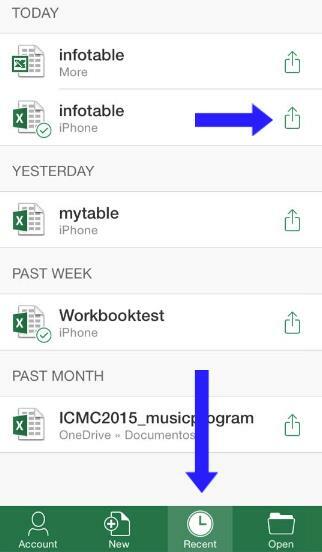 Select the most convenient format for you, and then, just choose if you want to send it using the Outlook app (which you can get through Excel for iPhone), or your default e-mail application. Then, name the file the way you want to have it stored. 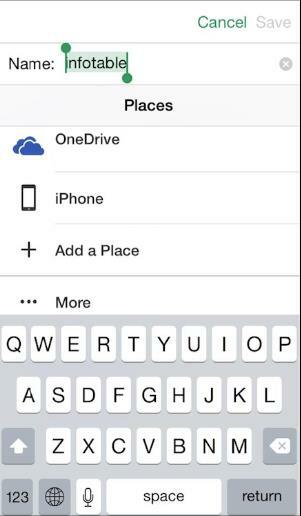 You can pick the destination here too: Select “Onedrive” to store it in the cloud assigned to your Microsoft account, tap “Iphone” to store the document locally in your phone’s storage, or click “Add a Place” to access more options, including linking Dropbox with Excel for iOS. 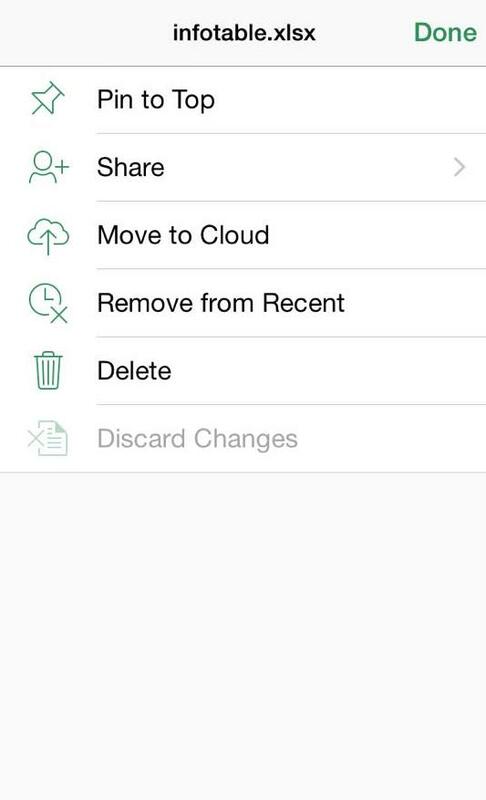 Here the options include sharing it, moving it to a Cloud or deleting it.